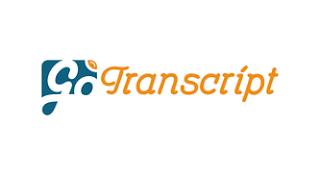 GoTranscript (formerly called SpeechtoText) is a transcription company that was founded in 2005 in Edinburgh (UK). They are a transcription and translation company boasting of high-end clients such as BBC, Netflix, Bose and more. The company accepts transcribers from all over the world and provides online transcription jobs for beginners. Many of the application got rejected because they can't even pass the first test i.e Quiz Test. If they passed in first test i.e Quiz Test they again face a big hurdle and fails in the second test i.e.Audio Test. So, In this post, I am going to resolve your problem by providing you with 100% authentic Gotranscript test Answers for both the test. You can also watch this video to better clarification to correct yourself. (Note: Audio file that you have provided may or may not match the exact answer given below. So, make sure before copying the test that you have the same audio file. If the duration of your audio file is larger or smaller then accordingly you can change the text below and can copy. Did you think you're going to get away with it that easy well that's not going to happen because if you remember I like reading so to these authors are going to be, Amm I'm even I'm not sure how-how you pronounce this but I'll do my best because you do have to do some research so her name is Parinoush Saniee, and she's from and she maybe it will help you when you, when you look for her name. So she’s from Iran, okay? You know, the test has to be a bit hard just a bit because it's not 10 pages. It's not 10 steps that you'd have to take, like on other sites, because yeah, I've been out there. I've seen the other tests, I know what they're about. So you should just say thank you for this small test of three minutes with no background noise, no trouble transcribing, no trouble doing the quiz because you have the answers right there in the guidelines. Hope you will be got all answers and if you like this post then share to your dear one so that they will be get rid of this test problem. If you have any queries please ask in the comment section below.